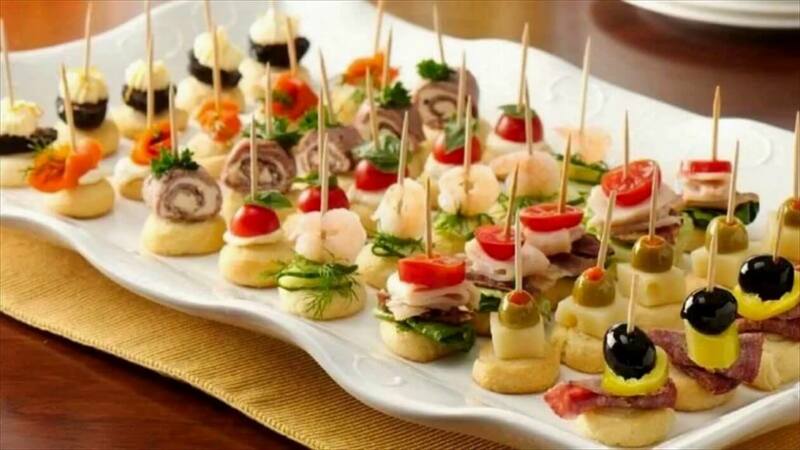 If you’re looking to throw a casino themed party, but don’t have the budget to get caterers in, the best option is to make canapes to serve on the evening. Pair these with alcoholic and non-alcoholic beverages and your guests will be lining up for more. This will absolutely beat the average potato chip any day of the week. Cut a ready-made block of polenta into stick shapes and then bake. Wrap your prosciutto sticks in polenta and serve with a delicious tomato and basil sauce. This is a classic combination served in style, with some added panache. Cut the cucumber in diagonal slices of about 1cm thick and wrap each piece with a thin slice of beetroot-cured salmon. Dollop with some crème fraiche, top with some freshly chopped chives, and a crack of black pepper. Get inspired by paella with these incredibly tasty Spanish-inspired skewers. Coat 12 raw, shelled prawns in 1tsp of harissa and cook for 3 minutes in a pre-heated oven at 200C. Skewer the prawns with chunks of chorizo, drizzle with freshly-squeezed lemon juice, and serve with a garlic mayonnaise topped with fresh parsley. Add a fresh twist to the classic cheeseboard and crackers by creating cheeseboard skewers instead. Cut your favourite cheeses into bite-sized chunks and skewer them along with grapes and membrillo quince paste which can be purchased or made at home. Serve alongside a good variety of crackers and jams. 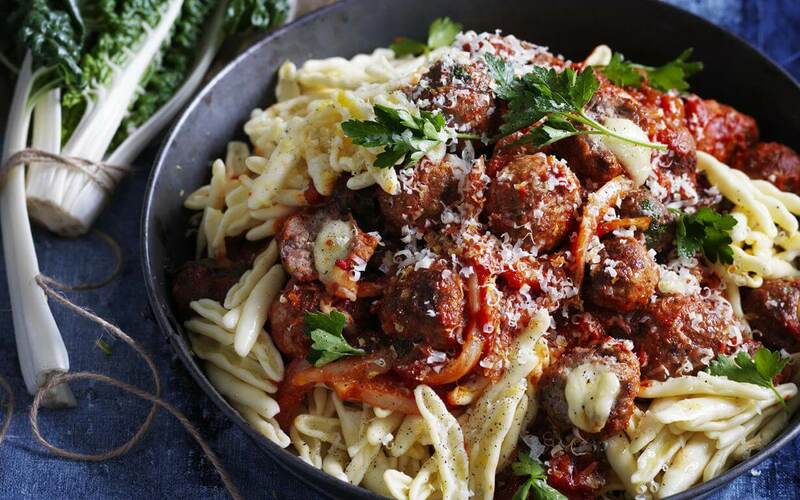 These hidden-centre meatballs will go down a treat and are quick and easy to make as well. They’re so delicious they will bring even the biggest pokies New Zealand fans out of hiding! Create a basic meatball mixture from beef mince and when rolling it into balls, push a cube of mozzarella into the centre. The cheese will become wonderfully melty upon cooking and these tasty meatballs can be served with ketchup or a sweet-chili sauce. Preheat oven to 200C. Combine 100g of cream cheese with 2 tablespoons of fresh basil pesto. Unroll a 320g sheet of puff pastry and cut in half lengthways. Spread the pesto mixture over one half and top with the other half of the puff pastry, and cut in half lengthways to create 2 long rectangles. Cut each rectangle into short strips of approximately 1cm and twist each strip. Brush with egg and bake for 20-25 minutes. The perfect winter canape by all accounts! Whip up a batch of butternut and sage soup and serve piping hot in espresso cups. Purchase or make bruschetta and wrap each piece in pancetta as the perfect dipping soldier. Bake new potatoes until tender and then leave to cool for 10-15 minutes. Cut a small cross in the top of each potato and pinch the base to open them a little. Top with a teaspoon of sour cream on each potato, fresh chives, and a good crack of black pepper. No casino party is complete without something sweet. Whip up a standard New York cheesecake recipe in a tray and once set, cut into slices and drizzle with a zesty lemon syrup reduction. Who doesn’t love chocolate? Use a standard brownie recipe and add tiny pieces of crystallised ginger – the perfect combination. Cut into small squares and dust with icing sugar before serving.